California Proposition 63, also known as the Background Checks for Ammunition Purchases and Large-Capacity Ammunition Magazine Ban, will be on the California ballot this November. According to Ballotpedia, if passed, this proposition would prohibit the possession of large-capacity ammunition magazines and would require a background check in order to purchase ammunition. Current California legislation states that individuals and businesses must obtain a one-year license from the California Department of Justice to sell ammunition and to conduct background checks of purchasers with the Department of Justice. 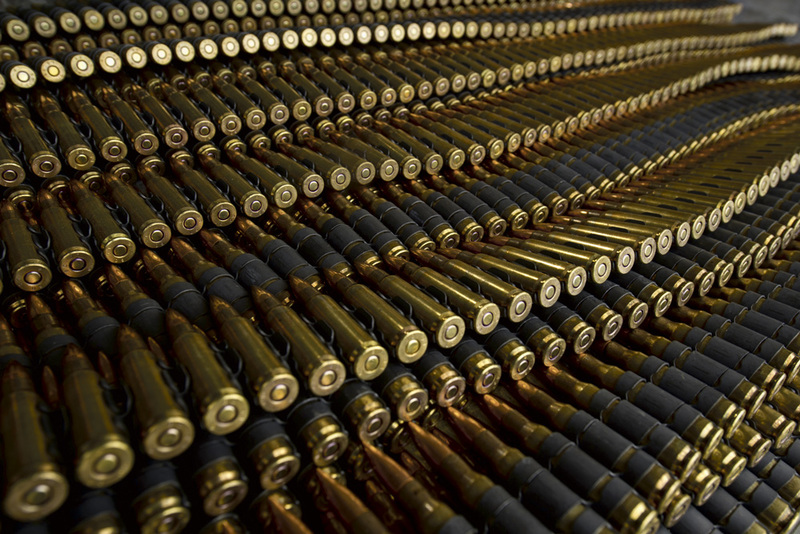 Prop 63 would require individuals to obtain a permit to purchase ammunition. Dealers would have to verify the permit before continuing the transaction. The proposed measure eliminates “several exemptions to the large-capacity magazines ban and increases the penalty for possessing them,” according to Ballotpedia. The proposition would also impose a court process that prevents convicted felons from the continued possession of firearms. Furthermore, it would make stealing a gun a felony, punishable by up to three years in prison. California Lieutenant Governor Gavin Newsom is spearheading the Yes on 63 campaign, also called “Safety For All,” as the measure’s developer. “Enough massacres, death, tears, and hate — it’s time to take action and save lives,” Newsom said, as reported by the Los Angeles Times. “From 2002 to 2013, 38,576 Californians died from gun violence, including 2,258 children,” endorsers posted on the ‘Yes’ website. Prop 63 is endorsed by U.S. Senators Diane Feinstein and Barbara Boxer, the California Democratic Party, California Secretary of State Alex Padilla and a long list of city government officials and California organizations. As of Oct. 2016, ‘Yes’ has raised over $4.7 million on campaigning for Prop 63. The top three contributors to the ‘Yes’ campaign fund is the California Democratic Party, California Lt. Governor Gavin Newsom and California businessman philanthropist Sean Parker. “Stop Prop 63” is the opposition campaign, led by The Coalition of Civil Liberties, which is comprised by a wide variety of advocacy groups, including the California Police Chiefs Association, National Rifle Association, Congress of Racial Equality, and Jews Can Shoot. The campaign has partisan endorsement by the California Republican Party, California Libertarian Party and the California Peace and Freedom Party. The ‘No’ side argues that the proposition would burden law-abiding citizens who own firearms and would not prevent terrorists or criminals from accessing firearms. The opposition also argues that Prop 63 is written in a misleading manner. According to their website, Prop 63 would force legal ammunition dealers out of business, lead to door-to-door confiscations of private property and lead to costly fees for background checks (up to $50). Six-time Olympic shooting medalist Kim Rhodes is the poster-endorser for the Stop Prop 63 campaign. As of press time, the opposition campaign has raised approximately $650,000. The top three contributors to this cause are the NRA, California Rifle and Pistol Association and the Citizens Committee to Keep the Right to Bear Arms. According to a survey conducted by SurveyUSA in September, approximately 63 percent of the respondents stated they would vote ‘yes’ for Proposition 63. Prop 63 is particularly noteworthy in the Santa Barbara area following the 2014 Isla Vista tragedy. At the Concert Across America to End Gun Violence in late September, activists implored attendees to pass the proposition. Why don’t people seem to get the fact that criminals don’t obey the law!!!!!!!!! This, like all other feel-good gun control measures, will make people only think they are safer. This will create a new black market for ammo making our streets even less safe. And if you think for one minute a terrorist is going to leave their high-capacity magazines at home because Gavin says so? One of the biggest ironies in all this is that CA is essentially saying “it’s ok if you kill 10 people….just don’t kill 30”. This is just making my head explode. Finally, something that demonstrates just how naive Gavin and others of his ilk are, this does not address reloading. Criminals just need to buy relatively inexpensive reloading presses and reloading components. No records, no trace etc. It will be years before the ignorance of this measure comes to light. In the meantime, countless mom-and-pop gun store owners will be driven out of business, the cost of ammo will skyrocket, and many people will die needlessly because our politicians didn’t have the courage to go after the real problem. But Gavin will have his governorship. That’s all that really matters.